∞²⁷ – I N F I N I T Y ²⁷ LTD. Within ten years – by 2027 – I N F I N I T Y 27 aims to have successfully transformed the video games industry using disruptive business models that improve the fundamental relationship between companies and customers in a way that provides better experiences and fairer outcomes for consumers, employees and partners. 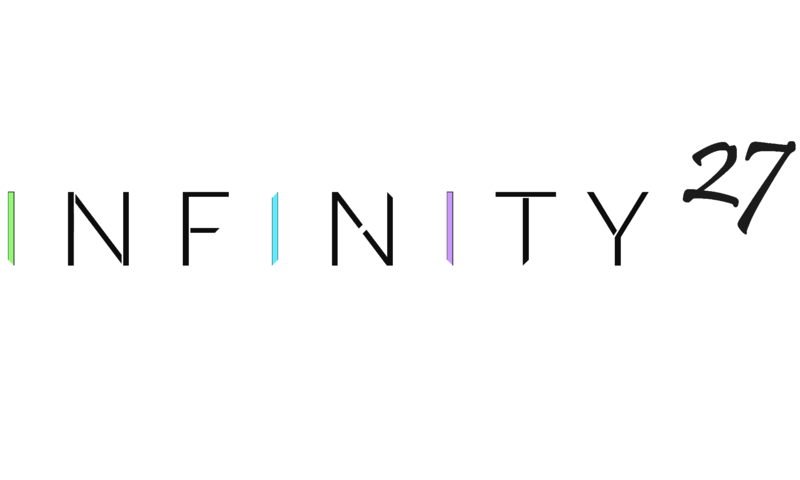 I N F I N I T Y 27 is a startup that oversees the management, marketing and publishing efforts of a collective of video game companies that share our ethos. These companies are different in that they’re owned and operated by their employees, who have a stake in the creative and commercial success of products and services they devise. INDIVIDUAL – separate and distinct. NATURAL – existing in, derived from and in accordance with nature. FINITE – limited in size and extent. INGENEOUS – clever, original, inventive and fit for purpose. NEUTRAL – impartial and unbiased. INSPIRATIONAL – transformative creative and spiritual experiences. TRUTHFUL – honest, open, transparent and accountable. YOUTHFUL – enthusiastic and optimistic. To achieve our vision of transforming the video games industry I N F I N I T Y 27 researches, designs and develops innovative business models and forges partnerships with local businesses and institutions who are willing and able to help us provide win-win solutions to some of the most pressing issues that affect contemporary video game development. Be it reducing the need for high employee churn and burnout to EX, to ensuring each game has a chance to be marketed correctly for exposure among its target audience. I N F I N I T Y 27 seeks to exploit lean and agile methods along with some of the most opportune technologies and innovations to change the landscape and attitudes that continue to blight a beloved industry that has the potential to delight and inspire us. Establish the worlds first open-core video game design studio. Publish a commercially successful game title that proves the viability of our business model. Scale by opening multiple self-sustaining studios that operate with a high level of autonomy, transparency and creative freedom. Continue to expand and improve our product offerings and processes, increasing mind and market share within the industry. Dominate our market segments to be able to transform the industry, giving consumers and developers an alternative that is more prosperous and fair, while making the old models obsolete. I N F I N I T Y 27 LTD.